If you like to be scared, if you like to laugh, and if you like to learn a thing or two at the movies, this absolutely cannot be missed. The movie turns out to be a little better than the average. Starting from a romantic formula often seen in the cinema, it ends in the most predictable (and somewhat bland) way. Only thing that is bad in this film is scenarists, role of Megan Fox is terrible but the Turtles are pretty good. Good pattern but the production is really bad. This film is absolutely disappointing in a lot of ways. It completely goes against what made the TMNT awesome. First things first, this film is really boring. And the reason for that is that the story is not only average at best, but it also drags on a lot. There's no where near enough action for this to be a true TMNT film. Or a decent one, at least. The acting is so- so as well. Megan Fox, while she is pretty good in some scenes, she doesn't come off as believable for the most part. I will be honest and say that the voice acting is pretty good. The CGI is pretty great as well. 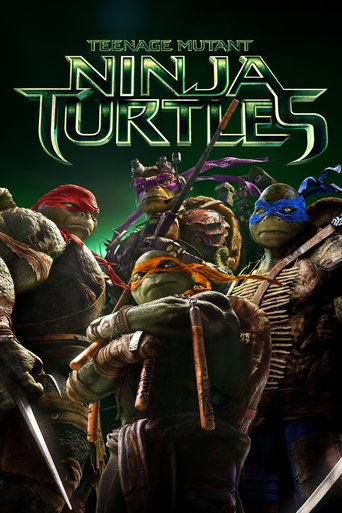 But other than that, this film is extremely dull and disappointing, and I honestly can't recommend this to anyone, as it will most likely not fill the expectations of viewers expecting a great, action packed TMNT film. This film will also most likely just make those who aren't fans of TMNT just wish the film was over sooner due to how dull and surprisingly not interesting this film is. When I started watching this movie, I knew it was going to be bad. I expected nothing else, I knew I was going to hate it. But sometimes you got to watch bad movies. They make you more grateful for the good movies. Also there is always that one actor who makes you willing to watch everything they have been in. You know how these things are! Also I hate typing the whole name of the movies, so I'll try to avoid doing that.Right before I started watching this movie my friend Lauri mentioned he had seen it. He told me the whole movie had the vibe that it's mostly meant for 10-year-old American boys, which is like painstakingly clear from the beginning. The jokes are super crude and everyone is kind of gross on very many levels. That alone makes this film quite cringe-worthy. It's obvious this movie was made mostly because superhero movies were and still are so in. TMNT is like those superhero movies: it's at least somewhat entertaining even at it's worst. It's like a bad superhero movie: It's bad, but you can just play it in the background while thinking about something else. The action sequences are not great however. They are definitely way too long. They are supposed to be visually nice, but they really aren't, at least not without 3D, and with 3D they would probably be even messier. Watching the turtles also makes it very clear that there's no reason for you to make a live action version of TMNT. The CGI is horrifying and all the CGI-characters look so bad. Who looked at these and thought yeah, that's a good idea, let's make a movie?The turtles caused me some other confusion as well. I've only seen one episode of TMNT when I was like six years old. It is incredibly hard trying to tell the difference between the four turtles. Like sure, their masks are different colours but apart from the weird one and the nerd one, how was I able to tell the difference between the other two? Their personalities seemed the exact same to me.I complained about this movie more on Twitter, and I think I can summarise those tweets: The dialogue is awfully dumb, and of course really crude. Characters keep making stupid decisions. There's something good in this movie, it comes mostly from the characters April and Vernon and the way April wanted to find out what was going on, but I just didn't want the turtles there and also I felt like the martial arts were a bit bastardised - but I'm not 100% sure about that. I knew this movie was going to be bad and it was exactly that. So I'm not disappointed, I watched a stupid movie but I was able to admire absolutely mesmerising Megan Fox and super hot Will Arnett, so it wasn't a complete waste of time. Hands down, even many decades after their creation, everybody still knows and somewhat appreciates the "Teenage Mutant Ninja Turtles". That's why many, especially the fans I guess, must have been curious when they heart that the franchise is going to be rebooted in live action back two years ago. And this first film must have been successful enough as a sequel was greenlighted not much later. But in terms of quality, it is really far from enough unfortunately. The fact that I did not like the looks of the Turtles that much is purely subjective I guess, but the story just felt so generic, predictable and there is absolutely nothing individual to it I must say. And is this really a Turtles film? I must say I felt that it was really more "April O'Neill: The Movie". The reason for that may have been that they got Megan Fox to play the character and she is still quite a huge star, so probably demanded lots of screen time and a plot that revolves around her in order to say yes to this franchise. But apart from the fact that Fox is not a very talented actress, the story about her character also isn't effective at all. The plot about her dead father and with Fichtner's character responsible for the death feels so predictable and desperate to evoke emotions that it's almost cringeworthy. 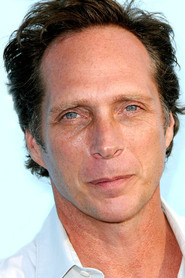 I think Fichtner is a fairly solid villain actor, even if he occasionally feels like a poor man's Christopher Walken, but he is still one of the better things about the film, even if he has very little to work with here. It is all about putting Fox in the spotlight, never about a good story.Now about the Turtles: I think that neither they, not Splinter and especially not Shredder fulfilled the great potential they had in terms of filmmaking perspective. Of course, it is quite a difficult challenge to construct a film about a life-sized rat and four life-sized turtles (especially with the joking around) as you have to give it the comedic approach at times. But here it did not ring true for the most part. The balance between comedy and moments where the film takes itself so seriously went pretty wrong most of the time. It is very shocking to see so many writers busy with the script here and the result is such a very weak outcome. 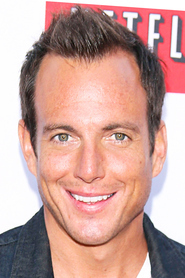 About Will Arnett ("Arrested Development"), who is basically included for the human comic relief, the film intensified my opinion about him as an actor. His comedy can work in the right context and setting and some of his jokes work too, but most of the time you can feel the writes' desperate attempt at going for some cheap laughter. But what distracted me the most about him is the make-up and how they tried so hard to make him look 10 years younger than he actually is, so that we can accept him as a love interest for Fox' character. It's just another from a long list of oddities (in a negative sense) when it comes to this film. I saw the sequel received slightly better rating and reviews, but after seeing this one, I must say I have very little interest to check out movie number 2. The Turtles are a great challenge from a cinematic perspective, no doubt about it, and the people who made this movie here weren't up to it. I give these 100 minutes a thumbs-down. The title characters deserve much better. Not recommended.